Settled in 1810. Incorporated in 1859. Emlenton’s first recorded settler was John Kerr, who arrived in 1810, and oversaw river shipments of stone to Pittsburgh. Following Kerr, an enterprising young Irishman, Andrew McCaslin, purchased land here in 1820, which became the Borough of Emlenton. The town was incorporated in 1859. 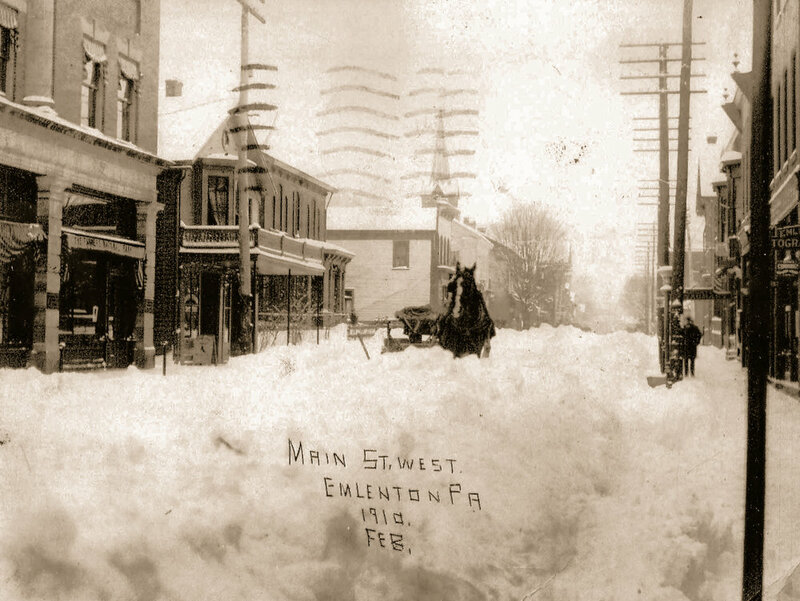 Emlenton received its name from Hannah Emlen, the wife of Joseph Fox, a wealthy merchant from Philadelphia, who owned vast acreage in both Venango and Clarion Counties. Later in the 19th Century, the oil boom saw the start of the Emlenton Gas, Light, and Fuel Company, Which today is known as Columbia Gas. 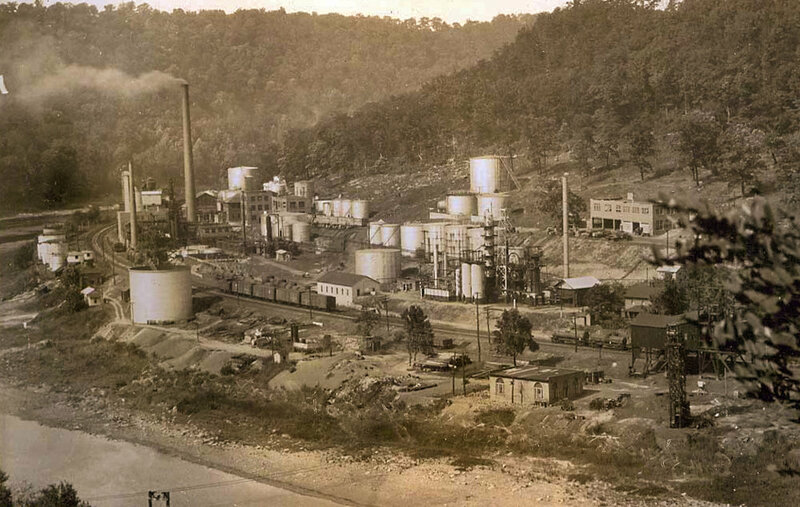 The Quaker State Oil and Refining Company was also headquartered here for nearly 60 years. the pumping jack museum, found in the crawford Center has more information about the history of the town. (It is open by appointment only.) Most recently, "American Idols," "American Pickers" and "This old House" have showcased some of the local Distinctions of Emlenton. • Anonymous reports can be made by calling in without stating a name, or dialing "Star" 67 prior to calling. • Property checks can be requested if you are going away on vacation for an extended period of time. • The Borough Council meets the 1st Monday of each month at 7pm. •Residents are welcome to attend with issues, or to keep up on recent developments within the community. The borough would like to welcome all to BE involved whether you are a native, new resident or guest in the valley! The borough Council is a volunteer group comprised of citizen's who take pride in our community, and we Thank You for aiding us in creating a Safe, Clean and Beautiful neighborhood! If passing through, please take time to visit & explore some of the parks, waterways, trails and scenic state game lands Within and around our town. Emlenton is one of the Gateways to the, "National Oil Heritage Area" and the "National Wild and Scenic Corridor." The beautiful Allegheny River flows through our borough, and was voted Pennsylvania's 2017 River of the Year. Our nationally known trails and river are perfect for a multitude of recreational activities. The Borough of Emlenton offers outfitters, lodging, food and many amenities for visitors & residents. Q: When does Mineral Springs Park Close? A: Mineral Springs Park is open daily from 9:00A.M. to 9:00P.M. Q: If I know a street light is out, what should I do? A: Report the pole number and location to the borough office and Penelec will be contacted to do the repair. Q: When do the tennis courts close? A: We remove the tennis nets around November 1st depending on seasonal weather conditions. Q: Can I rent the shelter and picnic tables at Hughes Park? Q: Can I camp overnight at Mineral Springs? A: Yes, you can camp at the park overnight free of cost. Please contact the Emlenton Borough Office for reservations. Q: Am I permitted to put a fence on my property? A: Yes, but all fences must comply with zoning ordinances. Q: I want to build on my property, do I need a building permit? A: Always when planning to build, you need to contact Construction Code Inspectors @814-432-2630. CCI will tell you if you need a permit and what the applicable fees will be. Q: How do I rent or use the gym or auditorium at the Crawford Center? A: We do not permit the use of the gym or auditorium by individuals, but local organizations may. Please contact the Emlenton Borough Office. • Do place brush by the curb for pick-up on Tuesday's before 6:00A.M. • Bags or trash cans must not exceed 25lbs. borough office with a fee of $5.00. • Do contact the Emlenton Police Department if you have any questions on an ordinance violation you might have received. • Do remove snow and ice promptly from sidewalks. • Do keep sidewalks clear of hazards. • Do remove garbage cans from street promptly after pick-up. • Do abide by the borough speed limits. • Do leash and clean up after your pets. • Do not disperse grass clippings or other debris onto sidewalks and streets. • Do not disperse excess snow onto streets. Herbert, Rowland & Gruber, Inc.
maintenance of structures and premises. This pertains to snow removal from borough streets and sidewalks. Please respect your neighbors and the community by maintaining a safe sidewalk during inclement weather. Responsibility for accidents falls on the property owner. It is prohibited to accumulate garbage, rubbish, unsightly junk, unpleasant overgrowth of grass or weeds on any property, within the borough limits. It is unlawful to conduct an open burning within the borough limits. You may engage in a recreational fire for the purpose of cooking. Sunday-Thursday • 10:00P.M. - 5:00A.M. Friday-Saturday • 11:30P.M. - 5:00A.M. This shall apply to any person under the age of 18, but does not apply to minors accompanied by a parent or guardian. Animals must be restrained by leash or other device, and not be unattended. Persons with such animals shall remove all feces from public walkways or parks, and dispose of feces in a sanitary method. An ordinance dividing the borough into various zoning districts and regulating the construction, alteration and use of buildings or land within each such district. This document summarizes the architectural importance and features of each structure in the immediate Emlenton Borough National Historic District.